You need to be quiet. It isn’t “christian” to say such things about a brother in Christ. You need to stop saying such things. You are trashing Christ’s church. All church members are required to never talk to the media about what has happened in our church. Stop being so arrogant. We are all sinners. 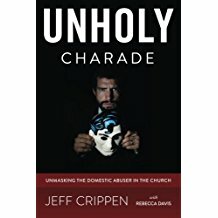 The church leadership did not tell the members about Fred molesting his children because there is no need for everyone to know. So you be quiet about it and if you don’t we will discipline you. No, we didn’t report this to the police and you must not either. Jesus wants us to handle this within His church and not get the state involved. And on and on the list goes. You could easily add many more such wicked statements all designed to silence the light of truth. Now, what we all need to do is totally blow off such intimidating threats (and that is precisely what these bullying tactics are – threats) and shout out the truth with even more clarity. We must have confidence, knowing that we are doing what Christ would do. “Woe to you, scribes, Pharisees, hypocrites! !” Jesus commands us to call out evil that has crept into His church and put it out from among us. See 1 Corinthians 5 on that as a clear example. Just read the verses quoted above once more. Pull out your Bible and read 1 John for instance. You either ARE or you AREN’T in Christ. And if you love the darkness rather than the light then I know everything about you that I need to know. Our little church here in Oregon knows these things are true. We have, by the Lord’s gracious leading, exposed darkness and evil numerous times. As a result we are a small band. We are hated by many who claim to belong to Christ, and the fellowship of churches we used to belong to detests us for speaking out. Lo and behold one of their own “pastors,” Tom Chantry, was subsequently arrested on multiple felony charges and yet they still insist we must all defend him. We parted company with them years ago. And we can see that their persistence in walking in darkness and protecting others who do evidences exactly who they are. Nope, not going to shut up. Do your worst.